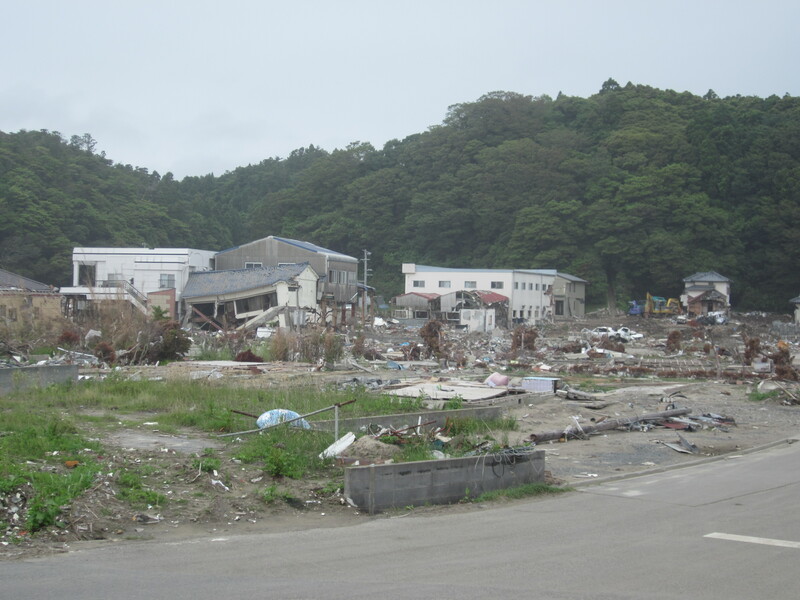 This entire area used to hold homes and businesses and is now laid flat from the tsunami. I suppose something like the day that Kennedy was assassinated, or 9/11, I remember 3/11 very clearly. Like the whole day. 3/11 of course, March 11, 2011. A family’s entire household and family business had to be cleaned and swept out. 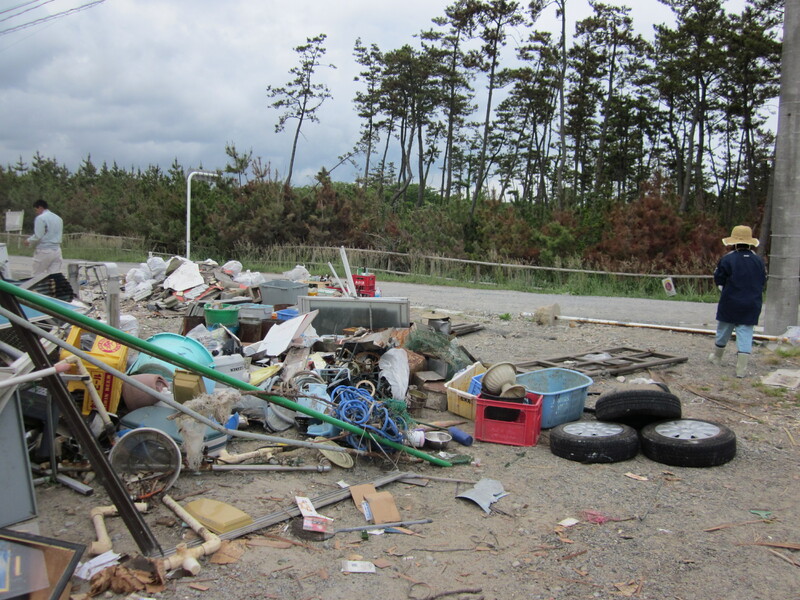 They weren’t planning on rebuilding after the tsunami, so, everything must be sorted and memories piled up in heaps of trash to be hauled away. Praise God, the title to his property was found amidst the rubbish and a grateful smile among the sorrow. It seemed to go on an on. You could literally see the walls shaking, hear things falling off the shelves upstairs. As the overhead lamp was swinging violently, I urged our team members to get under the table as it was getting very serious. It must have been shaking around 2-3 minutes before we ran outside to an fairly empty parking lot. Our ankles rolled with the ground below as if we were on a boat, though everything looked flat. As it always happens, people got used to the stories. They got used to the situation happening up in north Japan, or happening across the world, wherever they were hearing it from. But 4 years later, rebuilding of lives is still taking place. Closure is lacking. Some people lost their entire families that day and are the only survivor. Some are still rebuilding after severe financial loss. Some are still living in temporary housing. Many still have loved ones classified as missing, all these years later. There are orphans. There are grieving parents marking the day they lost their little ones. The horror of being with their loved ones in those painful last minutes… or the horror of not knowing how their loved ones spent their last minutes. And while Japan is known as a country that picks itself back up and moves along, I ask, where is the hope for their souls? Where, amid the terror and the grief of that day, is their hope? There is a Hope for them. But who will tell them of Him? Please pray for Japan today. Right now even. Please pray for those still recovering. Please pray that the Lord will send the someone to tell them about Christ, our Hope. Christ our Savior. Eternal salvation. Just a quick prayer.